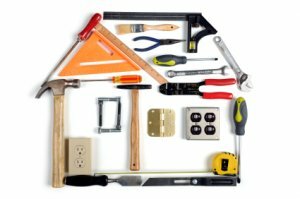 Does Your Home Need Significant Repairs Before Selling? Do you need to sell a home requiring significant repairs but don’t have the time or money to complete all the required repairs? Do you need to sell it fast? If so, you have a number of options that depend on your current situation. The easiest and quickest option is to sell your home to an experienced real investor. Most investment transactions can take place in a short amount of time and with little to no work on your part. Another option is to work with your lender to see if they will do a short sale. Unable to Prove Financial Hardship – In order to qualify for a short sale, you have to be able to prove that you can no longer afford the mortgage. The lender will not agree to take less than you owe if he/she believes that you are capable of making the payments. In this case, you’re better off finding an investor to purchase the home as-is. You Filed For Bankruptcy – If you filed bankruptcy, you may not qualify for a short sale. A short sale is considered a collection activity, which is often prohibited when filing a bankruptcy. You have to be able to prove that you can no longer afford the mortgage. The lender will not agree to take less than you owe if he/she believes that you are capable of making the payments. In this case, you’re better off finding an investor to purchase the home as-is. You Have Property Liens – Most banks won’t allow a short sale when a property has a lien, such as a subordinate lien for a secondary lender.